If these are the specs you are looking for then click on the Buy Now button and place your order now. Paklap offers the lowest price of Apple MacBook Pro (MR9U2) 2018 - Silver in Pakistan! The latest launch in Apple market is the eighth-generation Intel Core processors, MacBook Pro (2018) MR9U2 Silver. The MR9U2 presents double performance in terms of speed, accuracy, compatibility, and portability. The silver color mid-2018 Apple MacBook Pro 13 MR9U2 is here with a brilliant feature of Touch Bar. It is an upgraded MacBook fixed with an 8th Generation Intel Core i5 processor and True Tone technology. True Tone feature has an ability to fine-tune the balance of white light robotically with the surrounding light’s temperature. It’s a multi-purpose laptop with which the user enjoys working on an inaudible keyboard. Apple MR9U2 (2018) model is available on PakLap.pk; the website facilitates its users with Apple's T2 coprocessor chip. The chip qualifies a fine security level as it holds a secure enclave coprocessor that offers a base for secure system boot as well as scrambled storage. 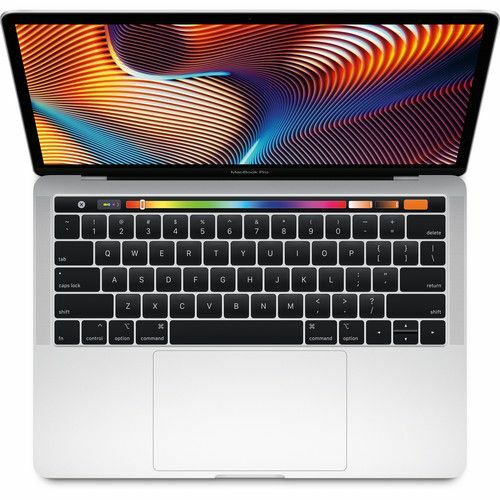 Apple MacBook Pro 13 (2018) MR9U2 Silver with Touch Bar and Touch ID is mostly purchased by video editors, photographers, game developers, 3D graphic designers, and software engineers because all these features support to construct a versatile and powerful technical environment for them. The MacBook uses operating system i.e. “macOS High Sierra”; though, one can upgrade the latest version of OS from the App Store app. 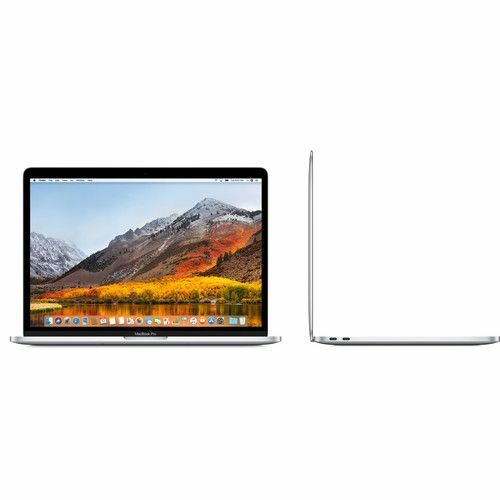 The 2018 MacBook MR9U2 gets power from an 8th Generation Coffee Lake 2.3 GHz Intel Core i5 Quad-Core processor that offers a good speed up to 3.8 GHz. A voluminous 8GB of 2133 MHz LPDDR3 RAM allows accurate multitasking by offering the MacBook a firm approach for pro apps programs, virtual machines, and customized files that the user uses on regular basis. The RAM performs its functions with speed level about double of its previous generations. Consequently, the life of developers and IT professionals has become easy as they get a hassle-free code compilation, largely sized graphics, multitasking, video encoding etc. However, we can’t neglect an associated controlling Touch Bar graphics feature having 128MB of embedded DRAM that serves the purpose of boosting up the graphic designing activities. 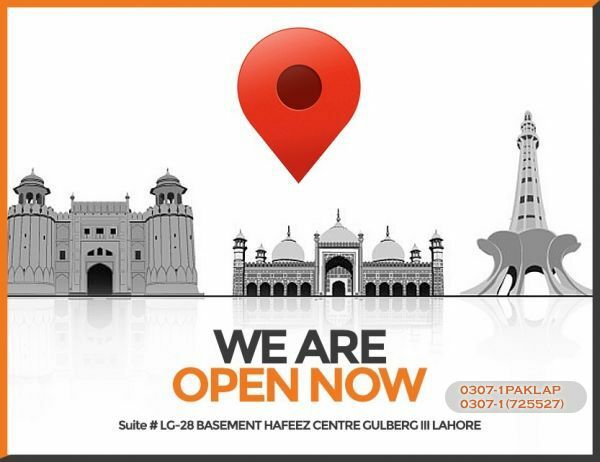 Paklap.pk is the online store where you can find Apple MR9U2 with 13.3-inch IPS Retina display at the guaranteed lowest rate in Pakistan. It provides the best screen resolution as it comes with a 227 PPI pixel density. The display is powered by LED backlighting that gives brightness up to 500 nits. It devises an Integrated Intel Iris Graphics 655 having shared graphics memory that presents user real sharp pictures, graphics, and videos. Only one Thunderbolt 3 port is enough to maintain over a billion colors. This silver color MacBook 8th Gen MR9U2 2018 devours a power button fixed with Touch ID sensor permitting the right user to log on through the fingerprint. Online purchasing has become appropriately secure through Touch ID feature as it matches the fingerprint with the Secure Enclave in the Apple T2 chip. The chip is now delivered with a user-friendly functionality called "Hey Siri". One more influential feature is the Touch Bar that assists the user by placing controls at the fingertips. The user no more has to approach menus and shortcut keys. Instead, Touch Bar grants the user with useful app-related functions. This flair is also attached with Retina display that has eradicated the requisite of function keys. A 256 PCIe Solid State Drive is soldered for large sized files storage with this MacBook. Additional compatible devices can also be attached with this MacBook. A few added built-in features include stereo speakers, 3 microphones, webcam, light sensor, and soft keyboard. 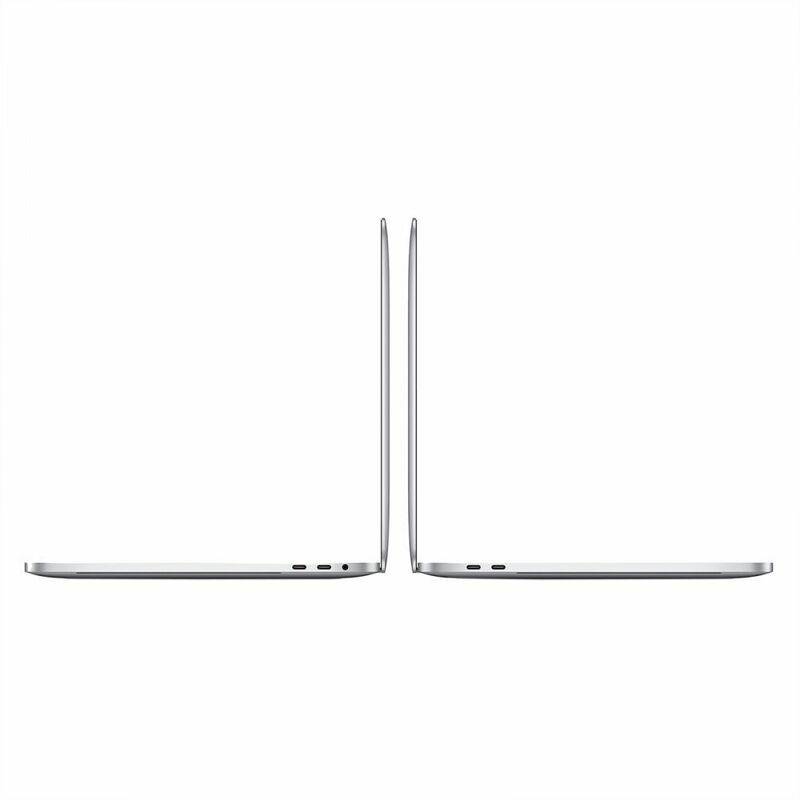 The 13.3-inch MacBook Pro MR9U2 has a built-in 58Wh lithium-ion polymer battery comforting the user with 10 hours standby time. With a robust Bluetooth 5.0 wireless technology, built-in Wi-Fi, USB 3.0, and 3.5 mm headphone jack, the latest Apple Mac MR9U2 2018 carries 3.02 pounds (1.37 kg) weight that constructs a strong build. Its dimensions are 0.59 inch (1.49 cm) height, 11.97 inches (30.41 cm) width, and 8.36 inches (21.24 cm) depth. Last but not the least, the Blackmagic Design has shaped an exterior GPU (eGPU) for this model. One can produce VR content, speed up pro apps, and take delight in gaming. Built-in apps and third-party apps are extra privileges. MR9U2 Silver model, with 01-year International warranty, is a prestigious and wise decision to buy from Paklap.pk, a juvenile Apple’s reseller. If you’re interested in purchasing this new edition to the Apple Family then just click on the Buy Now button and place your order now. Paklap offers the lowest price of Apple MacBook 13 MR9U2 2018 Core i5 Silver in Pakistan with a delivery time of just 24 to 48 hours.